"I guess I've always been a movie buff, but it wasn't until my third year of high school (an amazing art- enriched school here in Toronto, called Wexford C.I.) that I got the opportunity to make a short film as part of a film arts class. The actual experience of making a film was incredibly frustrating, exciting and rewarding all at the same time. The fact that it incorporated so many different disciplines fascinated me, and I knew right there I wanted to do that for the rest of my life. After graduating from high school, I was turned down by every film school I applied to. I took it as a huge blow at the time, but luckily, and with some outside help I was able to land my first job on a film set very early on. At that time, I worked mostly as a lighting technician, but also dabbled as a grip, set dresser and set painter. I spent about 10 years learning to 'wax on and wax off,' not really realizing that I was building a varied and broad set of skills that would eventually make me the type of DIY filmmaker I am today." Toronto native Ken Simpson has worked in film continuously since leaving art school. Over the past seventeen years as a filmmaker, he has become known for his distinct and complex visual style with an innovative fusion of technology and creativity. His passion for trick photography and visual effects has made Simpson a sought-after compositor for film, television and the web. 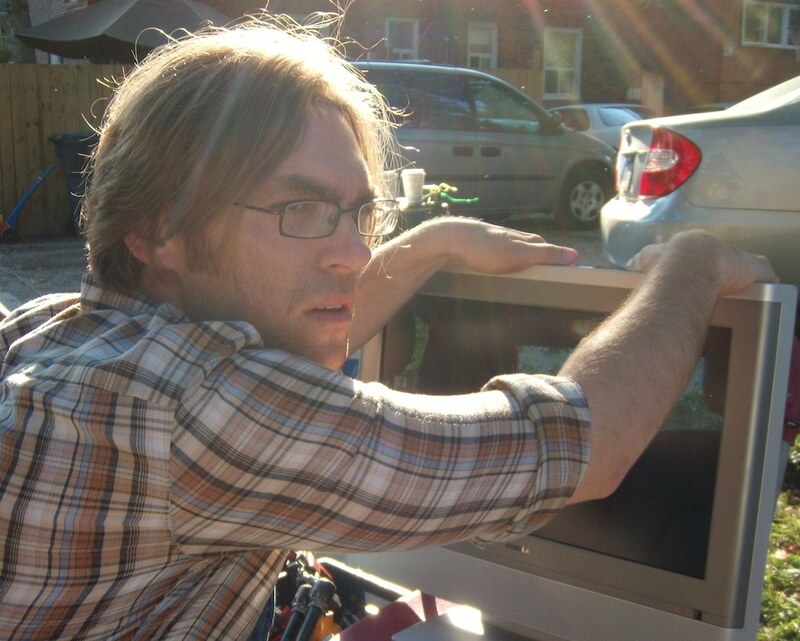 Over the last several years, Simpson has received much acclaim as a director for his narrative short film work, including, Happenstance (2009) which according to smartmoviemaking.com is the world's first narrative short film ever to be shot using the iPhone, [Ri-sip-ruh-keyt] (2009) and his epic 20-minute mini-feature, The Fall and Rise of Mickey (2011). His most popular short, Worked for Me (2009) is a touching and funny look at a young man dealing with a devastating breakup, and has garnished awards and various accolades internationally. In the summer of 2013, Simpson premiered his ambitious $50,000 feature film directorial debut, Headcase, at the Seattle True Independent Film Festival which was then followed by a very successful ten day run in Toronto. In early 2014, Simpson directed the hour-long documentary, The Trouble with Dying about the controversial topic of assisted suicide & euthanasia and its socio-political implications in Canada. The Trouble with Dying was narrated by the Academy award winning actor Christopher Plummer, and aired nationally on Vision TV. In 2015 Simpson was hired to direct and edit a five part miniseries as part of a co-production between CTN (Cambodia) and GMA Network (Philippines). The series "Blood in Dispute" stars Mikael Daez, Andrea Torres and is co-written by Simpson and Romilly Belcourt based on an outline by Phum Pitch films. The series aired in late 2015 in Cambodia and early 2016 in the Philippines. In the Autumn of 2017, Simpson was brought in as interim Post Production Supervisor at MediaOne Creative, shortly after Simpson was offered the full time position which he eagerly accepted. At MediaOne, Simpson is able to bring his full skillset to the table; he can often be found directing, camera operating, editing, compositing and sound designing videos for major global brands. *All credits as director unless otherwise noted.